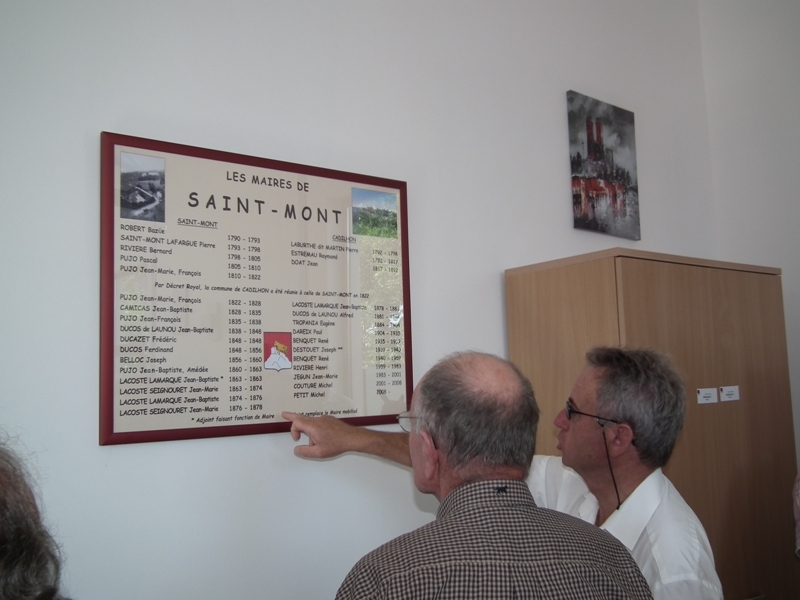 On Saturday, July 2nd, 2011, the works of Saint Mont were inaugurated. At first, it was the tricolor ribbon which closed the access of the new city hall which received the first inaugural snip of the scissors. 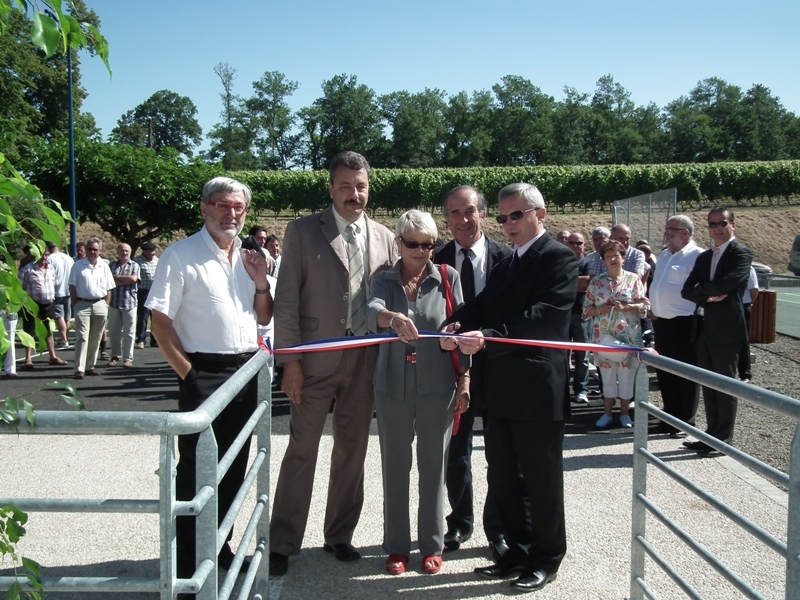 Elisabeth MITTERAND, cut the tricolor ribbon giving access to the new city hall. 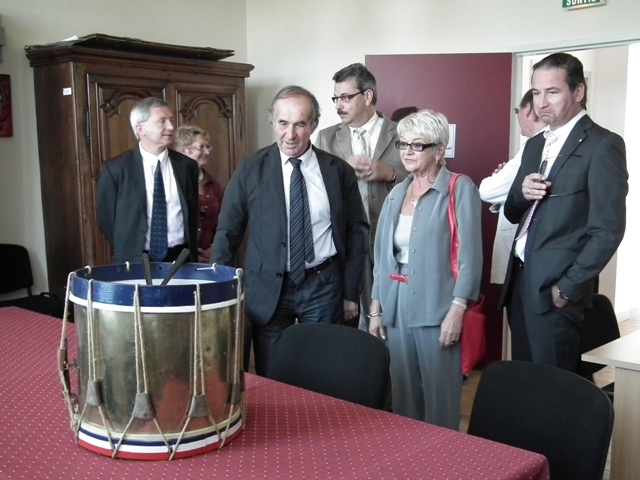 In the office of the mayor, the visitors admired the megaphone of ancient period marked with charm, the drum of the rural policeman which made its announcements in the open. 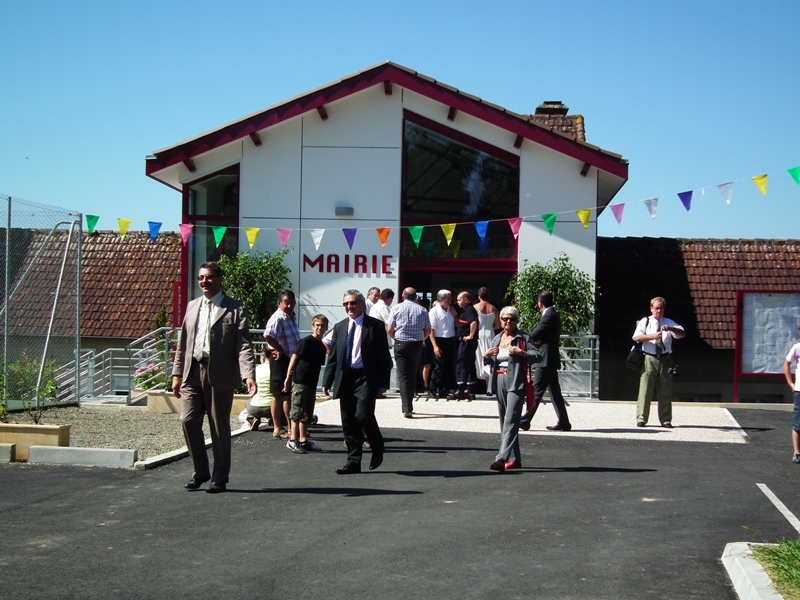 Finally, the small group went to the street Saint Barbara(powder magazine) and the station(resort) of assassainissement to inaugurate these two works made under the project ownership of the S.I.E.B.A.G. 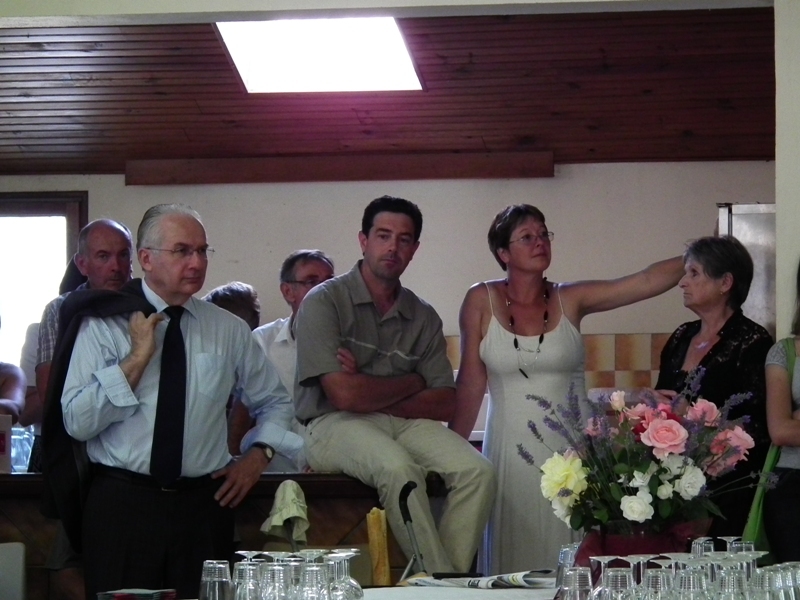 while the visitors lingered last time in the current city hall. The climax of this inauguration was of course the speeches and especially the cup of the friendship which was served to the foyer ! 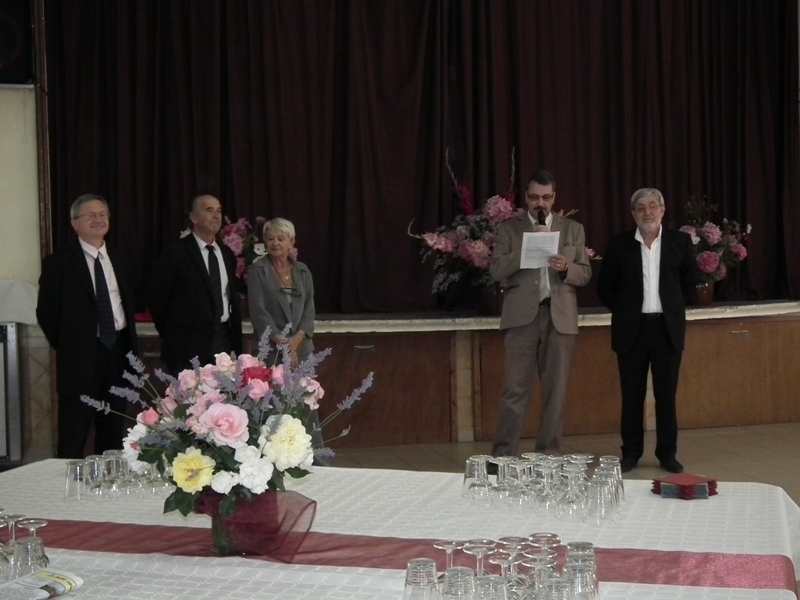 Thanks to the sub-prefect of Mirande, to the mayor and the president of the community of communes of Riscle, to the regional councillor, to the mayors of the nearby villages, to the mayor of Aire-sur-Adour,to the saint-montaises and to the saint-monatis up to have been present to celebrate this day not as the others!